Photo courtesy of I LOVE ACEITE. I did what Oscar asked. I was preparing a Valentine’s Day dinner for my wife. I had asked Oscar for a recipe using his extra virgin olive oil that would complement my main course. Oscar gave me a sample box of oil to take home. Later that afternoon, I began preparing dinner. I opened the bottle, closed my eyes, and inhaled deeply. Oscar was right. What I smelled was more than cooking oil. I smelled earth. I smelled the orchard. I smelled life. 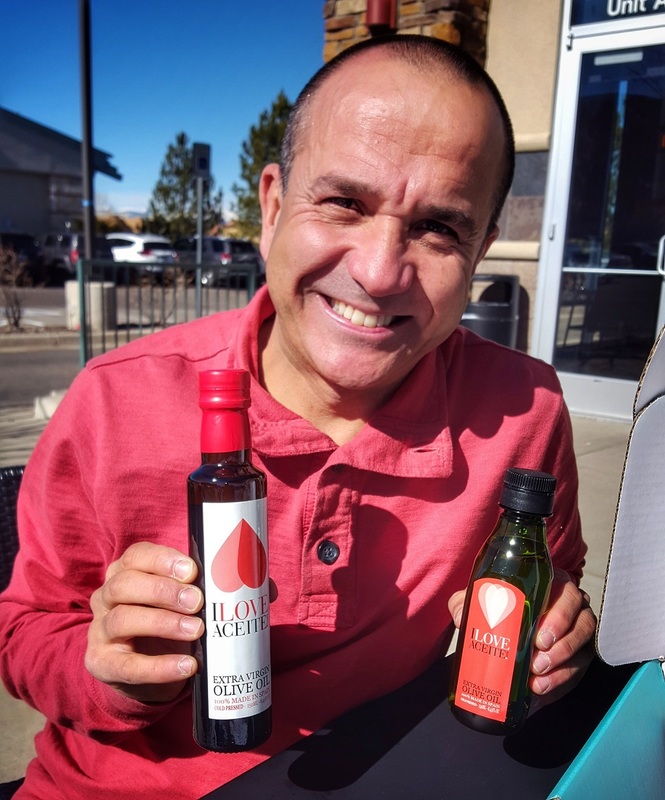 Oscar Sanchez owns a new business in Boulder – I LOVE ACEITE. Oscar and his family moved to Boulder last year from Barcelona, Spain, where Oscar has deep roots in the business of olive oil. A good friend of Oscar lives on and operates an olive orchard on the outskirts of Jaen, Andalucia, in the south of Spain. Only the finest of extra virgin olive oils are produced from the orchard, and I LOVE ACEITE imports and sells these oils. As I sat with Oscar, on a warm winter’s day, he explained the process of making pure, extra virgin olive oil, and he described many of the benefits of using extra virgin olive oil. 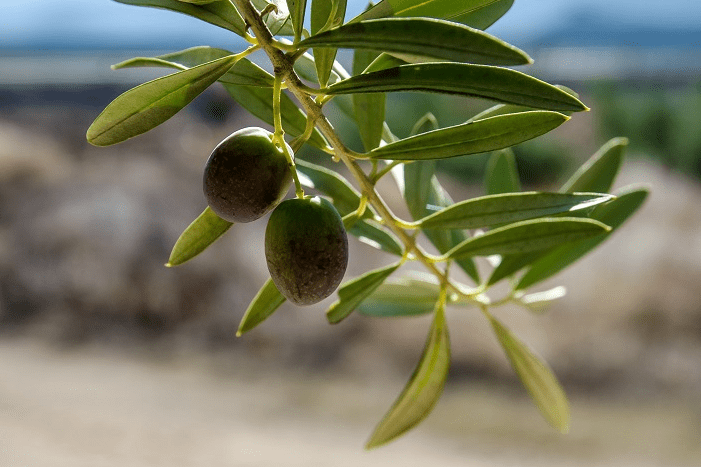 The collection process ensures that the olives retain their flavor, aroma, and health characteristics. Olives are cold-pressed, which helps maintain their nutrients, vitamins, antioxidants, and above, all their taste and aroma. When you go to the Best Olive Oil Box Website, you will see many options available for purchasing gift boxes. You can subscribe and receive a gift box every month. Monthly gift boxes, containing two bottles, costs $ 24.85. You can also purchase gift boxes without subscribing. There is also an option to send boxes as gifts. In addition to ordering gift boxes, you can also receive a gift card, perfect for gift giving. 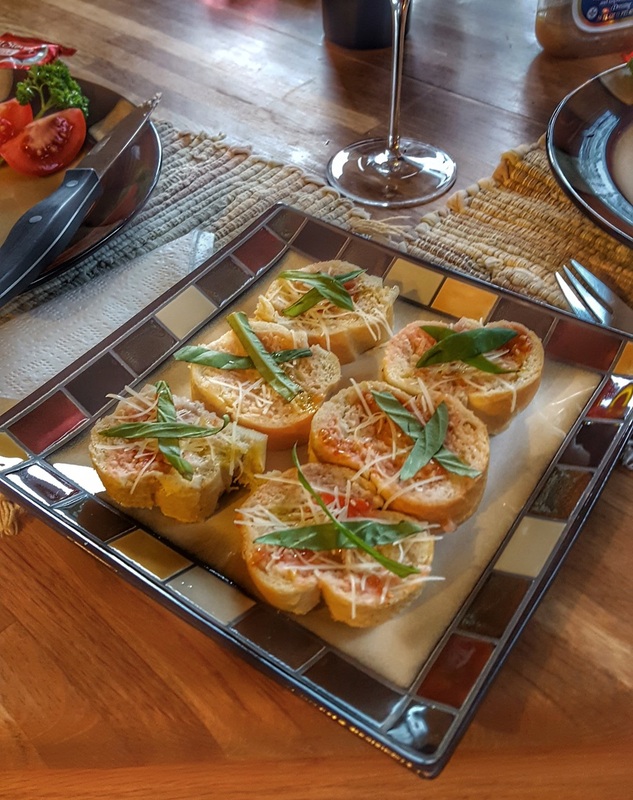 Oscar sells his extra virgin olive oil to restaurants, here and in San Antonio, Texas, however, Oscar’s true passion is getting the best olive oil into home kitchens. Besides selling extra virgin olive oil through the Best Olive Oil Box Website, Oscar also is an entrepreneur, and owns two hotels in Barcelona, where he continues to visit yearly. Oscar can be reached through e-mail at oscar@iloveaceite.com. I am looking forward to my next meal, where I can use the olive oil from Oscar. Maybe I’ll make a spicy tomato basil dipping oil or blend an herb rub and marinate a strip steak. The possibilities are endless. The recipe Oscar gave me to try is for Pan con Tomate. I added fresh basil from my herb garden and fresh Parmesan cheese. Other variations Oscar mentioned included adding Roquefort cheese or ham to the bread after toasting. I am sure I will try these soon.